Bamako Sounds tells the story of an African city, its people, their values, and their music. 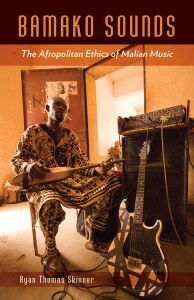 Centered on the music and musicians of Bamako, Mali’s booming capital city, this book draws on years of ethnographic research to reveal a community of artists whose lives and works evince a complex world shaped by urban culture, postcolonialism, musical expression, religious identity, and intellectual property. Download the Introduction in PDF format.